Guitarist Ken Karsh will be releasing his much anticipated follow up to his debut album “Ventana”. 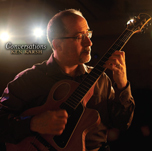 Ken Karsh holds nothing back with a powerhouse jazz guitar performance on his new album “Conversations”. A mix of mostly original compositions, Karsh surprises with some unexpected covers that sets the tone for a wide range of emotions to please the most discerning jazz listener. The event will be held on April 27, 2012 at Duquesne University's Red Ring located at 1015 Forbes Ave, Pittsburgh. Also join us for a CD signing and entertainment at the Barnes and Noble Book Store located across from Duquesne's campus. This will take place from 4-5p on April 27, 2012 as well. Proceeds benefit the Mary Pappert School of Muisc. Pianist Craig Davis and a cadre of area stars put together one of the most exciting nights in jazz in the past year Sunday at the Cabaret in Theater Square, Downtown. The event was a celebration for Davis' album "Out of the Gate," and he burst loose in a show that took a dynamic look at jazz with great musicians. Davis established his excellence as a pianist in a solo version of "Willow Weep for Me," which he gave a George Gerswin-esque feel. Phenomenal pianist Craig Davis, in his auspicious CD debut, plays listener-friendly jazz classics with a modern twist. His program features a satisfying blend of brilliant up-tempo tunes that tear down the house and romantic, languid ballads that recall an elegance gone by. A strong band supports the program with several outstanding tracks featuring Craig and trumpet player Sean Jones. Special guests for this CD release include Roger Humphries, Greg Humphries, Sean Jones, Stephen Pollock, Paco Mahone, and Joe Saylor. Academia can teach techniques, technologies, styles and marketing skills. But the one thing formal education can't teach is to communicate through art. Despite the student's willingness and the instructor's experience, when it comes to art, well, you either have it or you don't. Amanda Ford had it long before she showed up at Duquesne University --a Zelienople farmer's daughter and single mom who turned a side job teaching eurythmics into a larger role as assistant dean of music. As much as she likes her profession, however, Ford says she is and has always been a songwriter, and she proves it on a new CD that she'll showcase Friday at Club Cafe. Alanna records is pleased to announce the launch of an online calendar for our artist's shows. Come out and support great music at many different venues. There is something happening for all, including rock, jazz and classical. Call 800-228-5558 for any questions on the shows. We hope to see you there! Come see Amanda Ford and Tom Kikta perform an "unplugged style" acoustic set at Borders. Call Alanna Records Artist Management at 412-434-1186 for more info on this upcoming show. Come see Amanda Ford and Tom Kikta perform an "unplugged style" acoustic set at the Moon Coffee House. Call Alanna Records Artist Management at 412-434-1186 for more info on this upcoming show or go to the Moon Coffee House website. Come see Amanda Ford Perform with her full band. Call Cefalos at 412-276-6600 or Alanna Records Artist Management at 412-434-1186 for more info on this upcoming show. Come see Amanda Ford Perform with her full band. Call Alanna Records Artist Management at 412-434-1186 or goto Rhythm House Cafe for more info on this upcoming show. Come see Amanda Ford and Tom Kikta perform an "unplugged style" acoustic set at Sounds On Washington in Mt. Lebanon. Call Alanna Records Artist Management at 412-434-1186 for more info on this upcoming show. If you haven't purchased your copy of Amanda's Ford's debut release, now is your chance to pick it up at your local music store. On Fire will be available at Virgin Records, Tower Records, Barnes and Noble, Borders and any retailer near you starting June 13, 2006. If it is not in stock, just ask the store to order it for you. June 13, 2006 Amanda Ford will be performing on KDKA TV 2 Pittsburgh Today Live in promotion of her nationally CD release on June 13, 2006. The show starts at 10:00 am. Emmy Award winning singer/songwriter/pianist Amanda Ford is a leading composer of the true American pop song. On Fire represents a unique blend of traditional American influences, combining Blues, Rock, Jazz, Country, and Pop. Amanda’ s exquisite phrasing and soulful lyricism make her a rare vocal talent. The CD Release Party will be held on April 23 at The Hard Rock Café in Station Square, where Amanda will perform selections from her debut solo release. Doors open at 6:00 show starts at 7:00. Proceeds will benefit the Duquesne University Mary Pappert School of Music Scholarship Fund. On Fire will be released nationally on June 13 and will be available at Virgin Records, Tower Records, Barnes and Noble, and Borders. A guitar soloist can play the middleman for only so long. So classical guitarist Thomas Kikta, co-owner of a Downtown company that produces CDs for bands, musicians and even companies, decided to move to center stage and buy a label. Since 1992, Digital Dynamics Audio Inc. , co-founded by Kikta and his Duquesne University colleague Francisco Rodriguez, has done just about everything a record label does: mixing, mastering, design and even manufacturing small runs of CDs and DVDs for clients around the nation. A one-stop shop for CD production, it has profited from the trend of orchestras and bands looking to self-release albums or limited-run endeavors. Come celebrate with Alanna Records and Barnes and Noble at the Stephen Pollock "So Near So Far" CD release party September 24th at 6pm at the Barnes & Noble, South Hills Village Mall, 301 South Hills Village, Pittsburgh PA. A performance by Stephen as well as a CD signing, give aways and other featured activities will be included in the evening's festivities. Stephen is one of the worlds finest tenor saxophonists and founding member of the internationally renowned New Century Saxophone Quartet. Branford Marsalis calls him "One of the finest saxophonists I know". "So Near So Far" produced by Branford and Delfeayo Marsalis, is a collection of romantic love songs, seductive tangos and original works accompanied by strings and piano. A special appearance by the New Century Saxophone Quartet is also featured as well as outstanding performances by special guests: John Patitucci on Bass, The Alexander String Quartet and Vahan Sargsyan on Piano. A lovely duet with Stephen and very special guest Branford Marsalis is also featured. Stephen Pollock's "So Near So Far" is currently available online at www.alannarecords.com, www.buythiscd.com, and will be available at Barnes and Noble, Borders and other fine retailers on November 8, 2005. For more information call 1-800-228-5558 or e-mail info@alannarecords.com. Alanna Records a nationally distributed record label has been acquired by Thomas Kikta and Francisco Rodriguez of Digital Dynamics Audio Inc in Pittsburgh, PA. Alanna was founded in 1960 by William Lawrence a co-founder of Epic Records. Alanna is celebrating it's 46th year of releasing 61 outstanding recorded titles in Jazz, Big Band, Swing, Adult Contemporary, Popular and Beautiful Music CD genres. Artists include The Spitfire Band, The Peter Herbolzheimer Orchestra, Al Caiola, Stephen Pollock, Laurie Bower Singers, Charlie Shaffer, David Budway, Arturo Coppola, Michael Rose and Tony Corbiscello to name a few. Alanna Records looks forward to expanding it's artists in the Jazz, Popular and Adult Contemporary areas and creating new CD titles in Classical.